Hero Ravi Teja is busy with back-to-back movies. The actor is currently shooting for Kalyan Krishna’s Nela Ticket in Vizag. He also has a film with director Sreenu Vaitla. 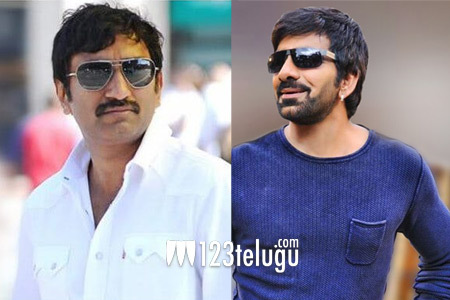 Tentatively titled Amar Akbar Anthony, the Ravi Teja-Sreenu Vaitla movie will be produced under Mythri Movie Makers banner. As per the latest updates, Amar Akbar Anthony will be launched on February 19 in the US. Ravi Teja will join the team from April, after he wraps up Nela Ticket. Amar Akbar Anthony will be shot extensively across America. The film will feature three heroines, while the Mass Maharaja will be seen in three different avatars. Stay tuned for more details.